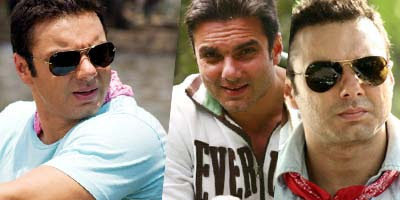 Sohail Khan is doing his carefree comic act in multi starer movie 'Heroes'. We have already seen first look of this funny guy from the movie and here is more of Sohail Khan upclose. Checkout Sohail Khan wallpapers from movie Heroes. As always looks funny and may tear you in bits in the actual movie. Looking forward.